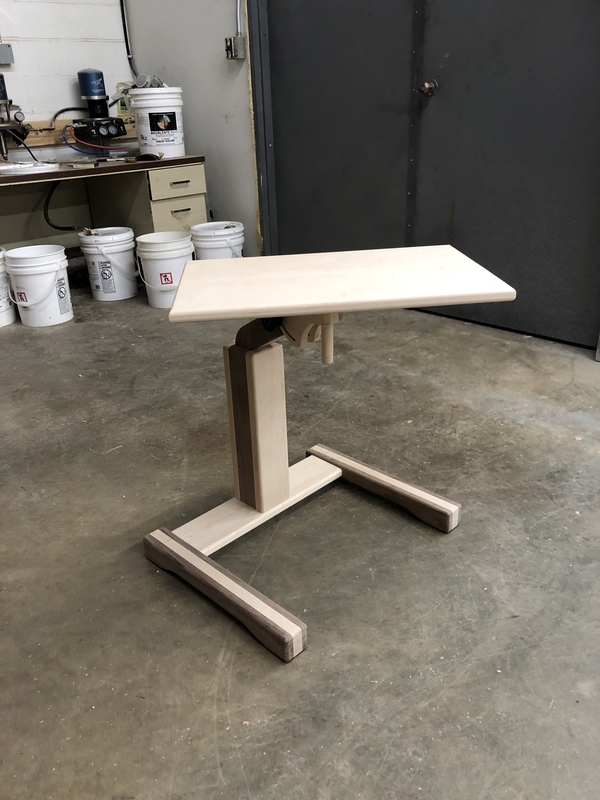 The computer tables are certainly one of the most useful wood products I’ve ever made. 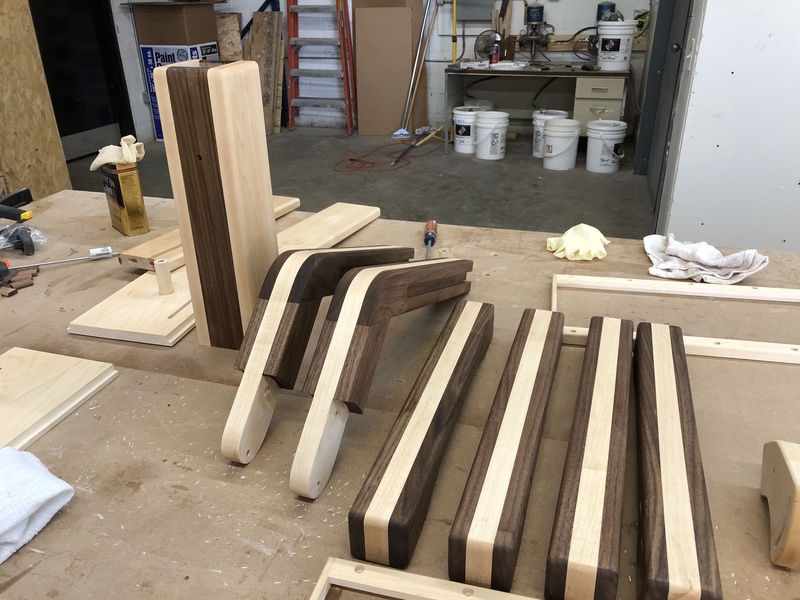 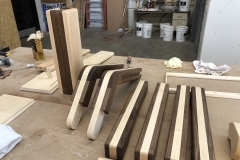 Although the maple and walnut make a sturdy and beautiful contrasting construction, it also made the tables a bit heavy. 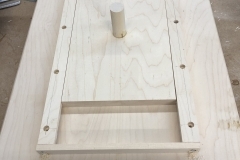 Future tables, I will be constructed of lighter materials such as Alder or other strong/light wood. 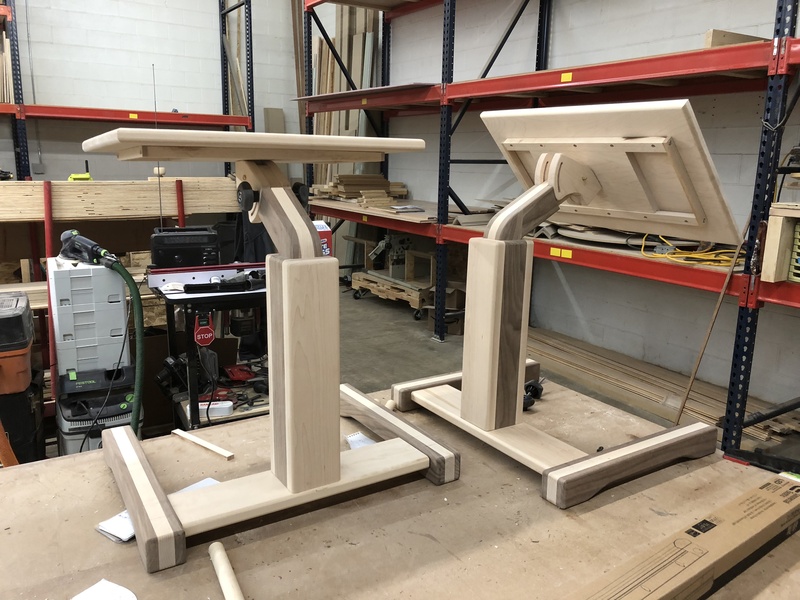 The tables have multiple adjustments including height, the angle of the desktop, side to side movement of the desk surface to accommodate sliding the table legs under a chair or couch. 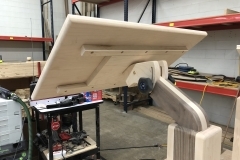 The table top also pivots 360 degrees. 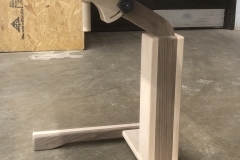 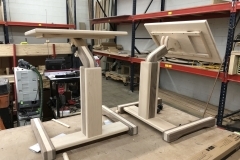 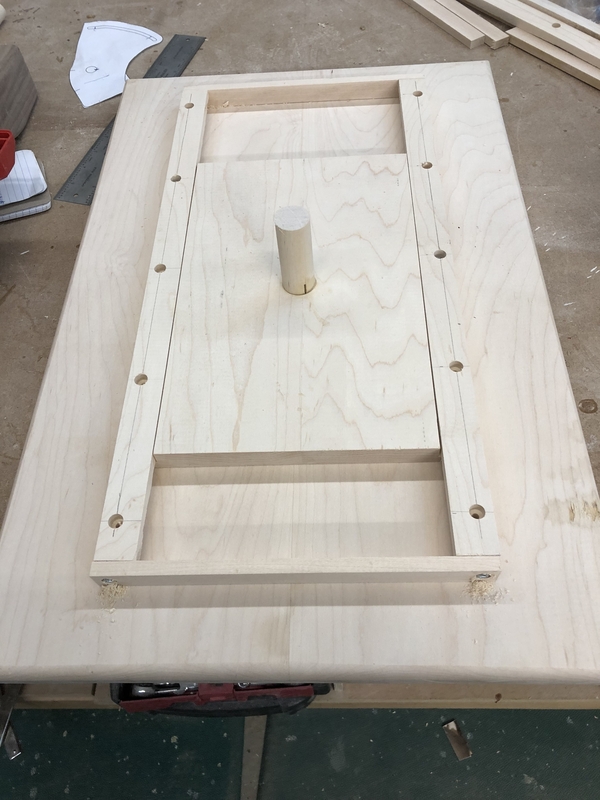 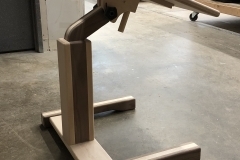 The most challenging piece to build is the trunion that makes the table adjustable. 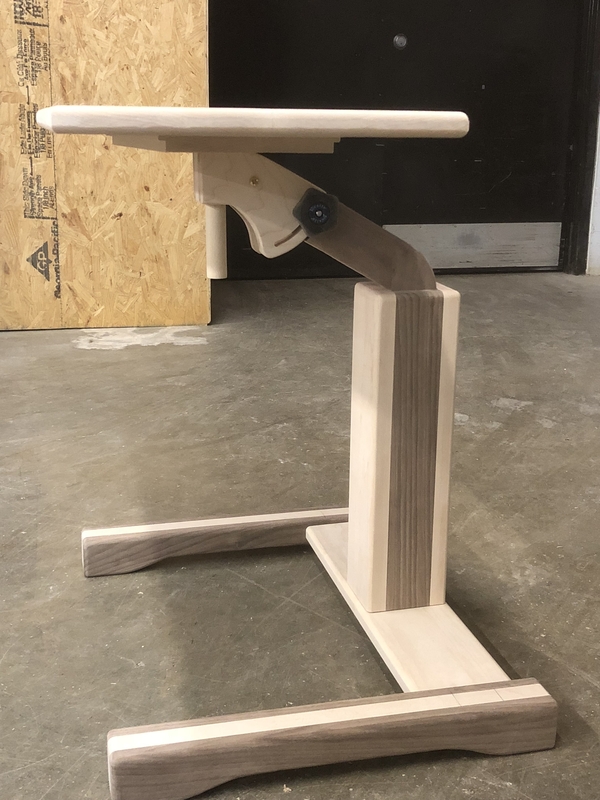 It’s solid hard maple with adjustments so that you can tilt the top from horizontal to about a 30-degree angle. 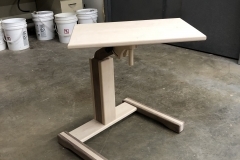 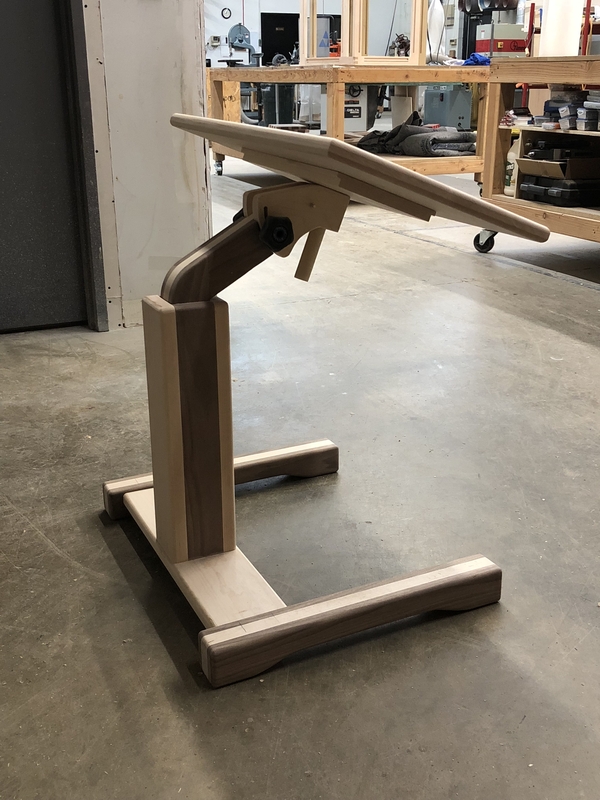 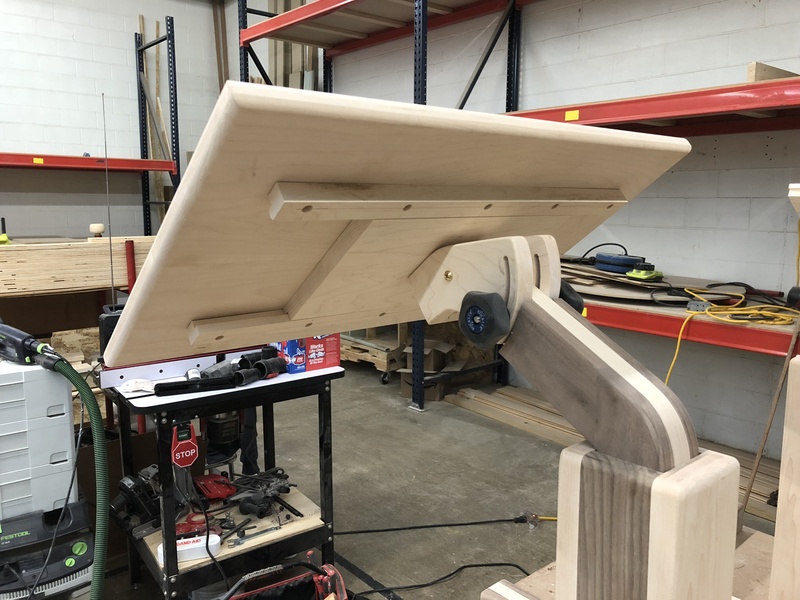 A 1″ oak post (that supports the table top) extends through the trunion to facilitate the 360-degree movement of the desktop.